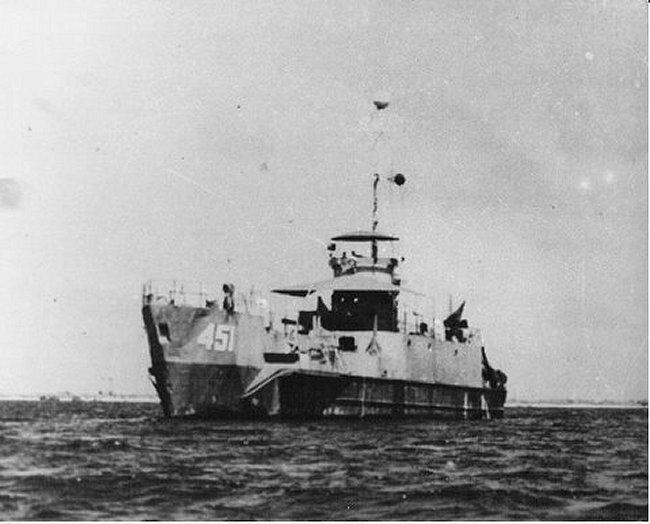 Laid down, 26 June 1943, at New Jersey Shipbuilding Corp., Barber, N.J.
55k USS LCI(G)-451 at anchor, date and location unknown. Jerry Gilmartin AFMM secretary LCI713 restoration crew. 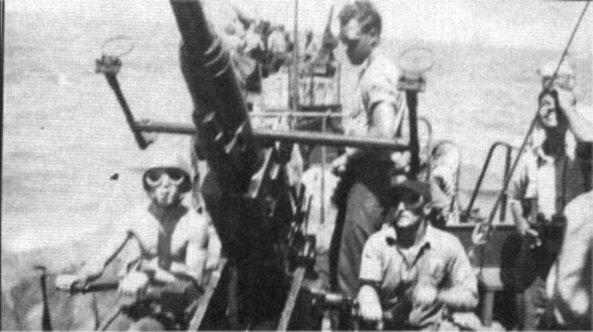 41k USS LCI(G)-451 40mm AA gun mount crew, date and location unknown. Jerry Gilmartin AFMM secretary LCI713 restoration crew. 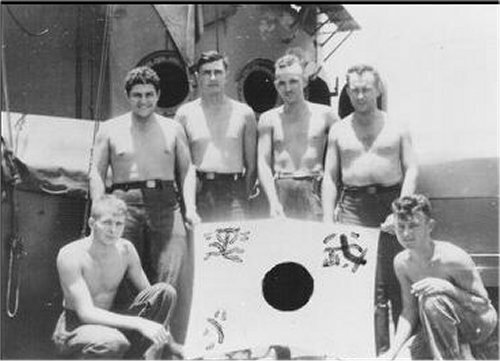 34k USS LCI(G)-451 crew members with Japanese flag, date and location unknown. Jerry Gilmartin AFMM secretary LCI713 restoration crew. 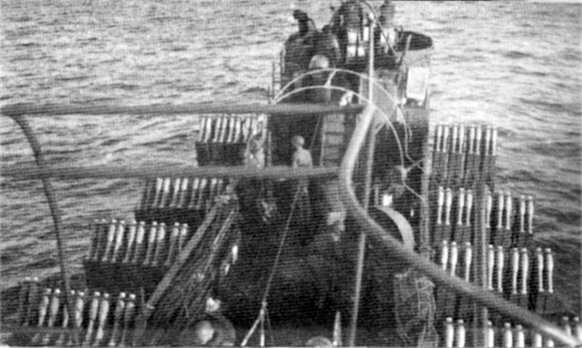 52k USS LCI(G)-451 with rockets ready to launch, date and location unknown. Jerry Gilmartin AFMM secretary LCI713 restoration crew.